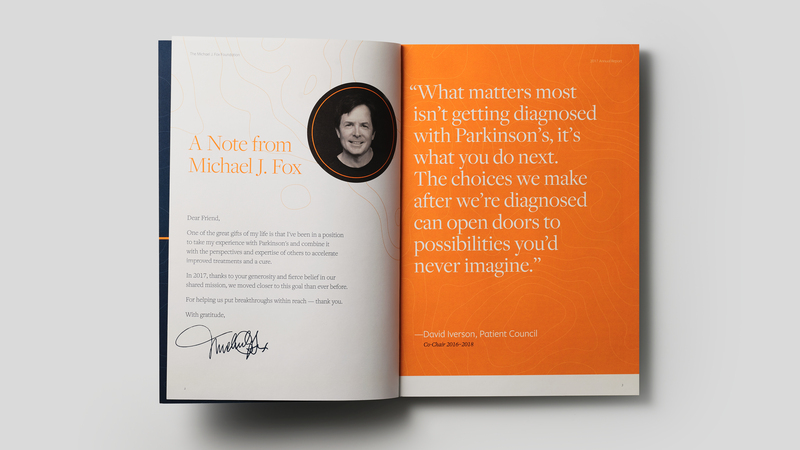 The theme of the 2017 Michael J. 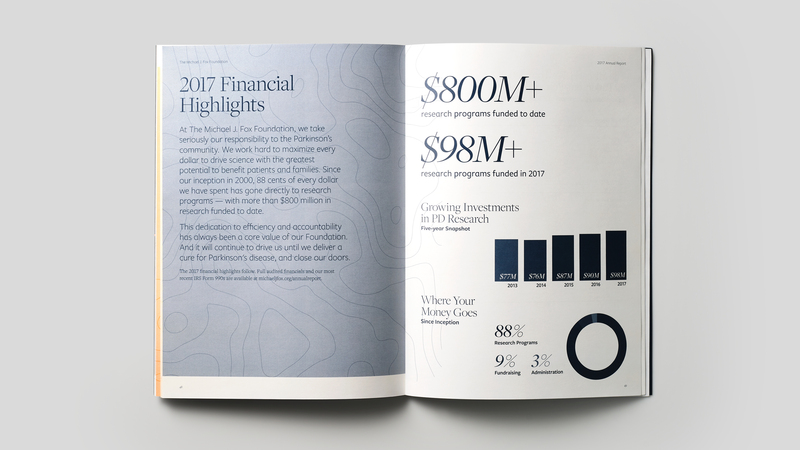 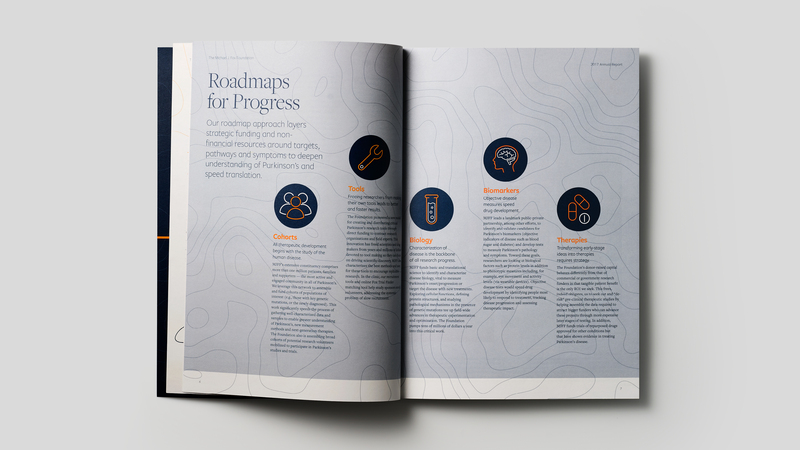 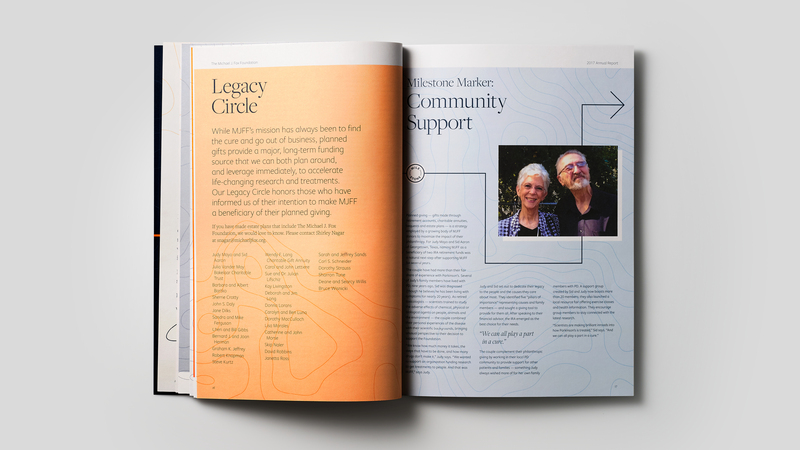 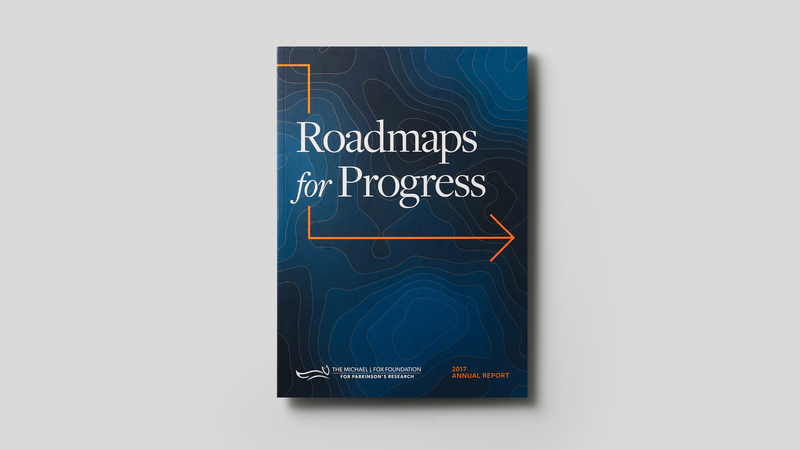 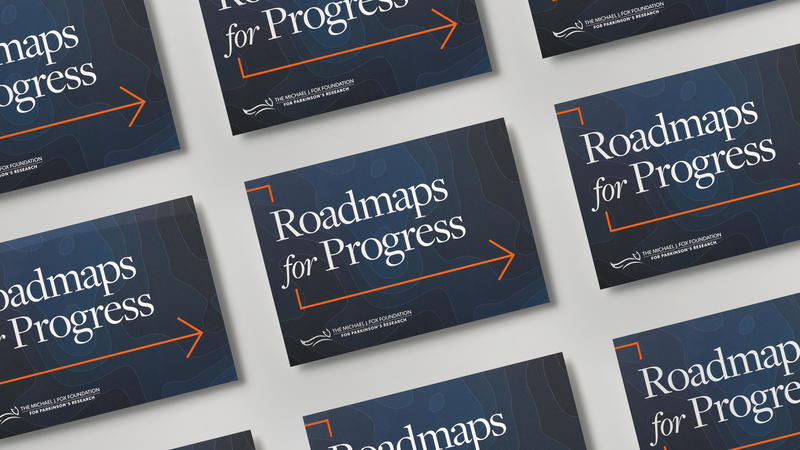 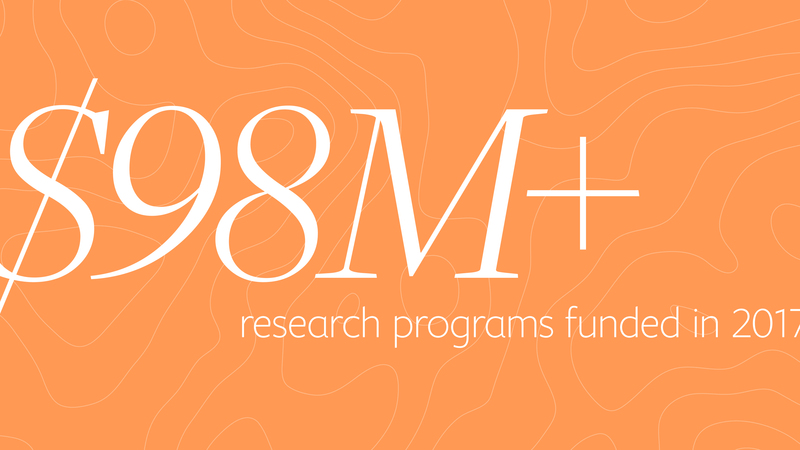 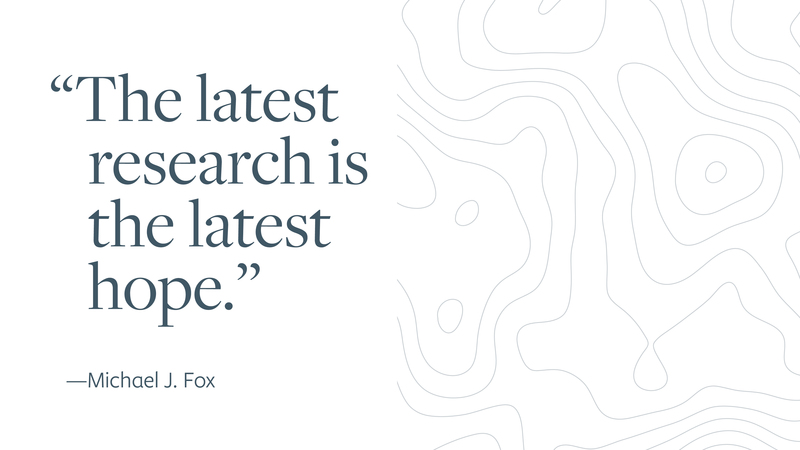 Fox Foundation annual report was “Roadmaps to Progress.” We saw the Foundation’s general purpose and this year’s specific theme in terms of two metaphors: the roadmap and the journey. 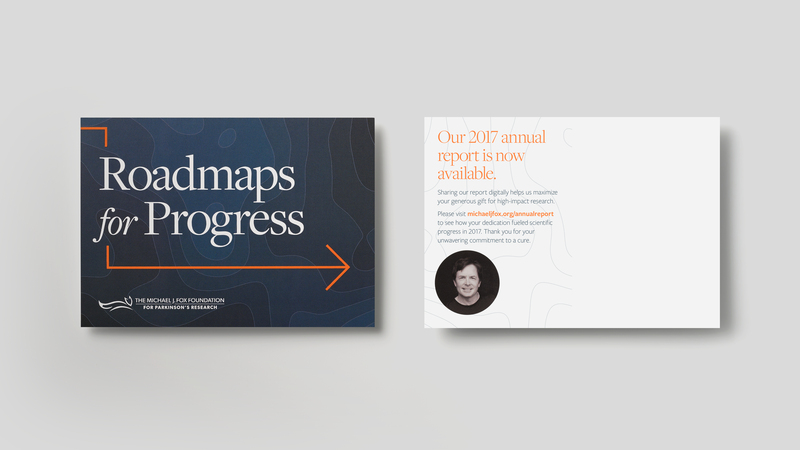 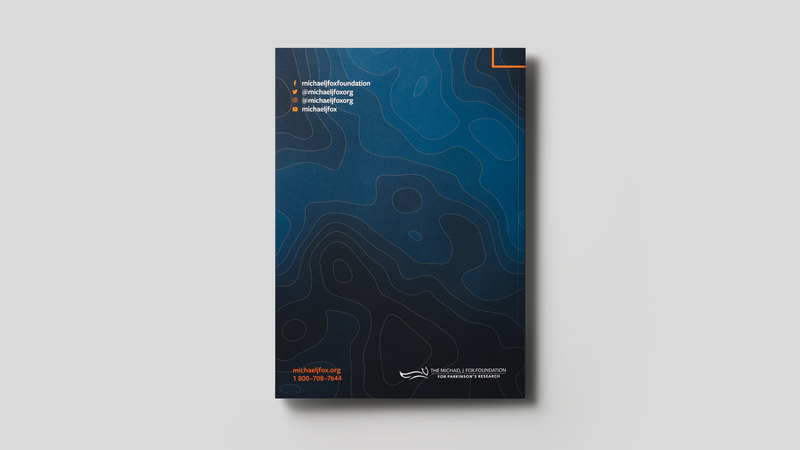 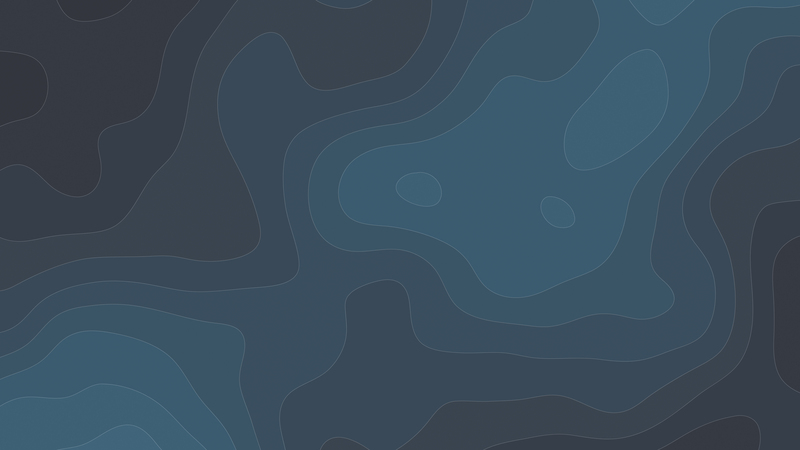 Given these metaphors, we chose two visualizations to communicate the story: topography lines for the “roadmap” work of the Foundation and the arrow (taken from a recent brand refresh) for the journey of the individual.